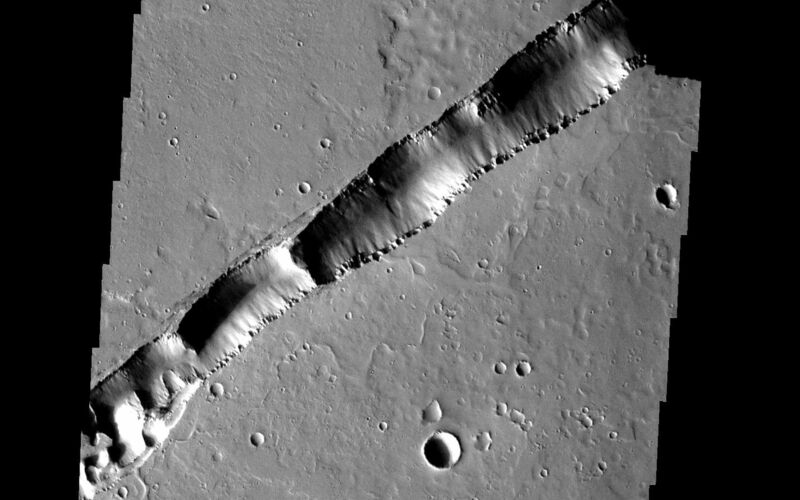 This large fracture occurs on the lava flows of Ceraunius Tholus. Image information: VIS instrument. Latitude 23.1N, Longitude 267.1E. 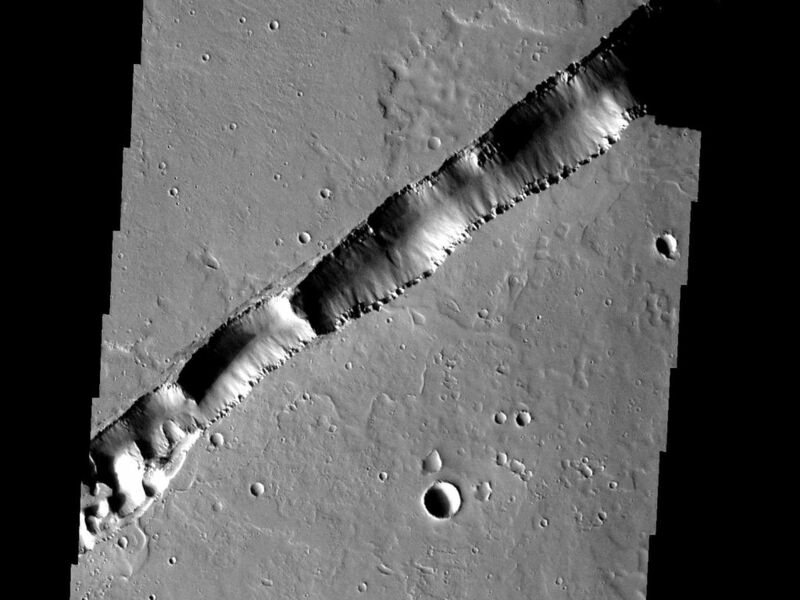 19 meter/pixel resolution.